It’s been over a week now that Galaxy S8 has been out in the hands of the buyers. This has been a chance for the new owners to test the device in the wild. 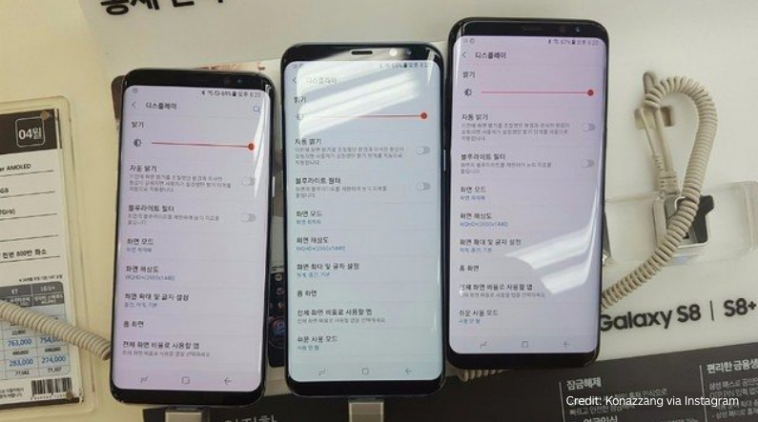 But regarding the new smartphone, various issues are being reported including the red display problem. The Samsung Company is already catering to that issue but there were other problems that are also being reported such as WiFi connectivity issues in Korea as well as wireless charging problems. Recently, another issue has been reported that is far more serious. The owners of Galaxy S8 and Galaxy S8 Plus are complaining about their devices randomly rebooting for no apparent reason. The problem has been taken by the owners on Reddit, the XDA Developers Forums and on the Samsung US Community Page. The owners have reported that while using the handsets, some have restarted over five times within the first 10 hours. There are speculations that the problem might be occurring due to a malfunction with the microSD card for which a temporary fix is suggested with the removal of the card. But some users have reported that the issue has not resolved even after all this. Experts’ state that for handsets that are fresh out of the box, this seems to be really uncommon and still it is unclear what actually is causing the problem. Samsung has not yet addressed this issue and has just begun rolling out its software fix for the reddish tint. But apparently, these unwanted boots might be enough to freeze the tech giant in its tracks for some time.